Our home-like family feel features delightful natural interiors, an adventurous and nature enclosed back yard along with warm, nurturing consistent, long standing professional educators committed to supporting you raise and educate your most precious children. Our much loved Cook, Gogo is a huge part of our quality services preparing and cooking home grown and cooked ingredients for over 12 years to our children. Our commitment to our community making us a leader in childcare for children between ages 6 weeks – 5 years in Bexley & Carlton. Our educators strongly believe that children thrive when given the opportunity to engage in open ended play for extended uninterrupted periods of the day. We at Giggles, provide this opportunity every day both indoor and outdoors. There is no weather our children cannot explore the outdoors! We promote true village lifestyles and ensure our children have the magical opportunity of playing in the nature outdoors every day! Giggles ELC in Bexley is privately owned and run by Anastasia Papadopoulos and Simon Leverton, Award winning child care centre operators and much loved members of the Southern Sydney community. The centre is open Monday – Friday from 7am to 6pm for 52 weeks of the year (closed on NSW Public Holidays). 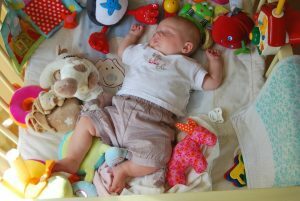 We cater for children between the ages of 6 weeks – 5 years. Please contact us for any questions or to book a tour of the centre. We look forward to welcoming your family to the Giggles ELC village in the heart of South Bexley. I was impressed with how easily my eldest son transitioned from Giggles to primary school. The Giggles teachers were committed to ensuring each child was fully prepared for school. On Grandparents’ Day in March, the smiles and delight of Dexter’s teacher were obvious when she was saying that he was ready for school, keen to learn, well behaved, and plays with many children. Giggles are always providing new activities, play areas, toys and great incursions to keep the kids interested and engaged. At our childcare in Bexley, we respect others and the world around them. Giggles ELC provides high quality care and education throughout our childcare service by recognising that all children, families and staff are unique individuals that need to be respected. We acknowledge that children belong first to a family, a cultural group, a neighbourhood and a wider community. We foster children’s self-worth, as well as provide an understanding of acceptance for others. We celebrate, honour and promote the diversity not just related to our centre, but the diversity of the world we live in. We do this through the combination of children, staff and family input, resources and via our community. Our program reflects the diverse culture of the world we live in, by developing children’s awareness and respect for cultural differences and similarities. Though this we are able to provide a stable, safe and loving environment that fosters a solid foundation for lifelong success. Giggles ELC at Bexley ensures your children are ready for the world by enabling them to understand the need for respect for the outer community and our environment. At our childcare in Bexley, we love to Learn! Our learning spaces are clean and uncluttered. Furniture, materials and toys are age-appropriate and our outdoor space is designed so supervising caregivers can observe all children at all times. It is secure, has age-appropriate outdoor equipment and opportunity for running and other large motor activities. 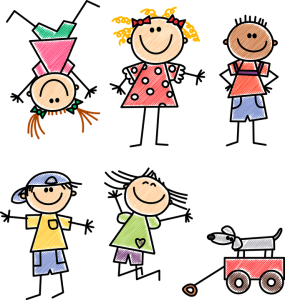 Giggles ELC operates under the premise that an effective and caring environment will help children feel invited and welcome to explore and learn. Our specialised staff at Giggles ELC in Bexley will ensure your children are equipped to step into the world and its challenges by equipping them with the knowledge required in their life journey. At our childcare in Bexley, we love to Play! We love to play at Giggles ELC! 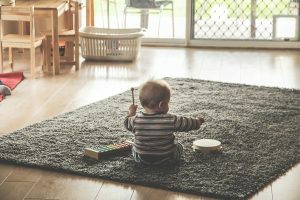 Children learn through playing and exploring their environment and we foster this understanding by setting up ‘learning spaces’ in which the children are able to explore. These may evolve either from a chance event, an idea that has been shared or a problem posed by one or more of the children. It may also be initiated directly by the teachers. Some of these projects/learnings may last a few days to several months. The children are provided with a range of equipment that they are able to use to create, explore and delve into however they wish, allowing them to become ‘active learners’. Some of the activities that the children have opportunities to interact with are: creative (art) material, computer play, pretend play/dress ups, sensory activities, sand & water play, books, blocks, gardening, musical instruments, construction materials, puzzles & manipulatives, cooking, science materials, climbing equipment, etc. The emphasis is on teamwork between children, staff and families, rather than controlling the children’s learning. This allows for a ‘child driven program’ that creates opportunities of uninterrupted play and / or risky play depending on the interests and active learnings of the group. Our childcare centre located in the heart of Bexley will prepare your children for the world and the many experiences it entails through the process of learning in their play-time. At our childcare in Bexley, we Nurture! Through exploring these different areas, our childcare centre based in Bexley will ensure your children understand the importance of respecting the environment and those around them. 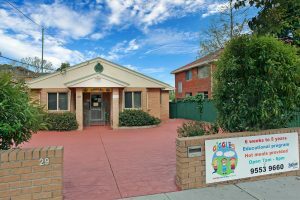 Giggles Early Learning is a childcare centre located at the heart of Bexley.